This is bad news for the world. If you look at the mobile computing space, precisely the area in which you don't see breathtaking innovation is this battery stuff. We're just not getting better at the basic physics of storing electricity in a reasonably compact way. Battery life for things like smartphones and laptops has improved, but that's all coming as improved efficiency of the chipsets. But here, too, the basic physics of translating engine power into forward automobile motion are not amenable to enormous improvements. It's true that batteries have not kept anything like close pace with the rate of innovation in the rest of the tech world. In fact, when you take recycling into account, it's still hard to beat the old lead-acid batteries from the days of yore. However there has been stupendous innovation in a different area of charge storage: capacitors. I remember my intro physics class with the legendary David Griffiths at Reed, and during one lecture he talked about how his original electrodynamics textbook written back in the 80s made the point that the standard unit of capacitance, the Farad, is quite large, such that when he was writing you would have needed a forklift to carry a one-Farad capacitor. Well lo and behold some joker of a materials chemist sent him a one-Farad capacitor (this was in 2005, mind you) taped to a plastic fork. It was about the size of a silver dollar and weighed maybe a couple grams. There are some additional advantages to capacitors as well. Batteries depend on an actual chemical reaction going back and forth, which is what limits their recharge lifespan. 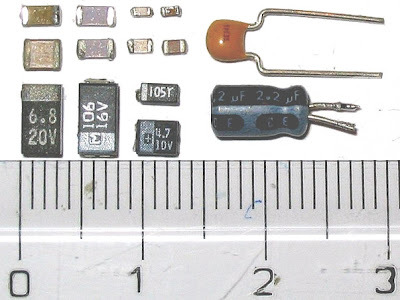 Capacitors are much closer to classic physics (though the boundary is increasingly blurred with super-capacitors), which gives them greater durability. Plus they can be charged and discharged at 10-100 times the speed of conventional batteries. Their energy density still doesn't quite match up to the best batteries, but given the history of breakthroughs in the field, if I were going to bet on innovation in energy storage, this would be the place.